The 2nd Annual Brain Art Event will be held in Santa Monica on December 14, 2017 where funds raised will go to support research for Chiari Malformation, a rare neurological condition. We need to fill a quota of 30 talented individuals where each artist will construct a piece of art devoted to the brain. The expression is up to the artist as the exhibit can be a mold, canvass, metal, wooden panel, fabric, photograph, etc. Donated art will be bidded on during the silent auction at the event. This is a great opportunity for artists to gain valuable exposure at a successful event and to get involved in creating positive change through their work. We want to credit the contributing artists, share information about them and their donated pieces with the bidders. Artists will be present for the evening of the event. SELECTED ARTISTS WILL BE EMAILED EVENT DETAILS BY 09/17/17. 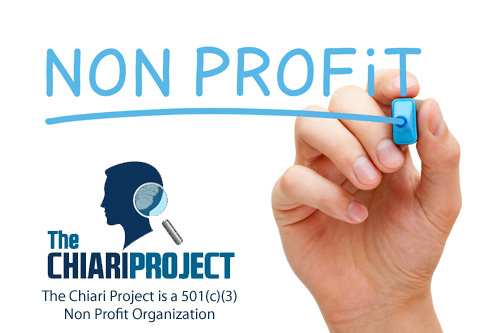 The Chiari Project is a registered 501(c)(3) nonprofit organization. The value of supplies used to produce the donated artwork is tax deductible. If the artists would like a tax receipt, then they will include a dollar value for the cost of materials (along with a receipt) used in creating the work before submitting.